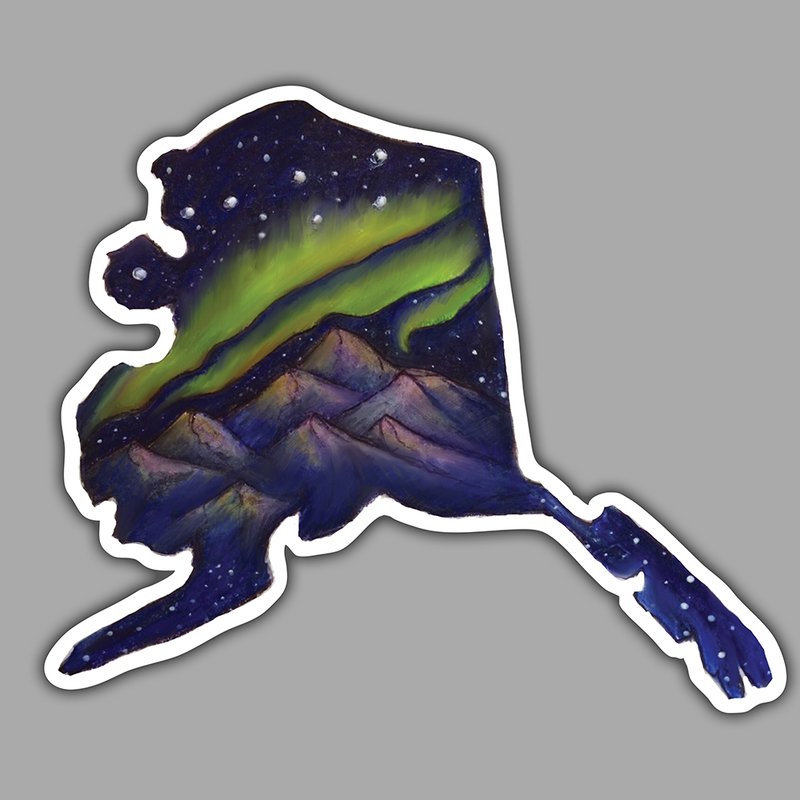 Produced right here in Alaska! 3.6 x 3.0 inches. Perfect for a water bottle, book, folder. 5.5 x 4.6 inches. Perfect for a car, window, suitcase, or larger surface.